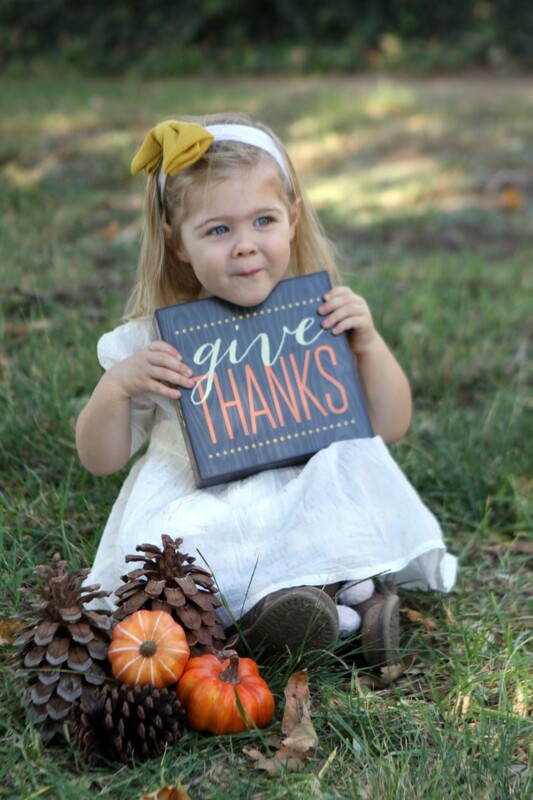 Grandpa loves Thanksgiving because it gives him a chance to thank God for my two wonderful granddaughters! We will spend Thanksgiving with all of you and Grandma and Grandpa G are with us, too! 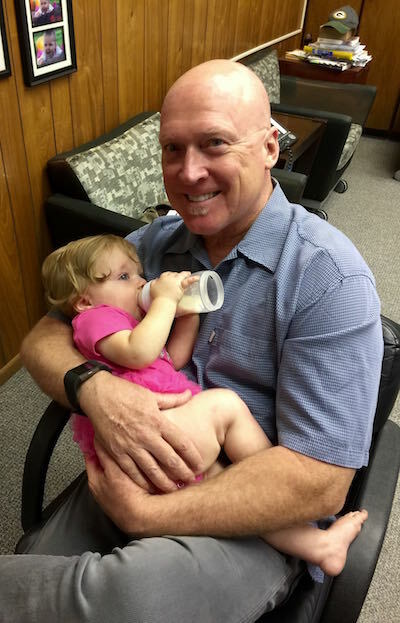 Grandpa Diary #109 Elise is One! Happy Birthday to you! I am excited that you are one years old today. When you came over this morning you did your normal routine. You find me wherever I am whether it is in the office, my bedroom, even the bathroom! Then you grab my leg and start making funny noises. You have had such a full year. You are learning to handle the rough stuff from your sister, but your mommy and daddy protect you from too much. 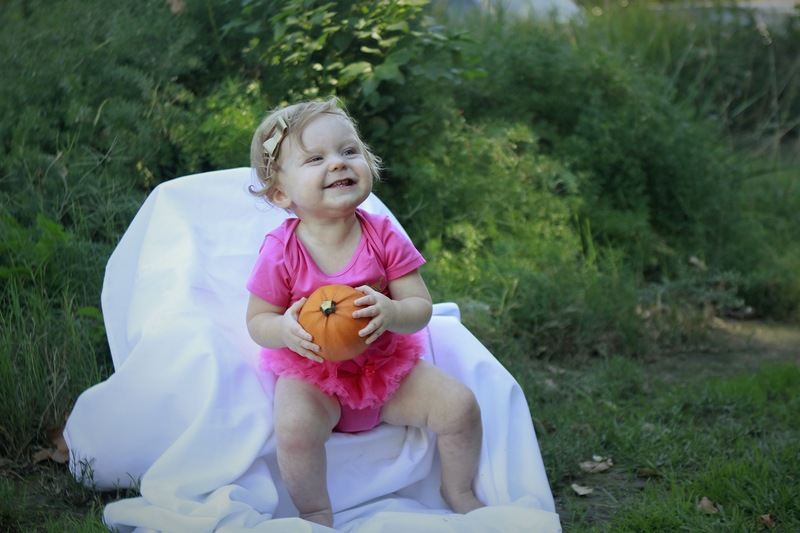 Kaylee loves you so much and she smiles and laughs every time she looks at you. Actually, you make everybody smile and laugh! We had quite a Grandpa Day on Friday. First, we went to your preschool, Christ Lutheran in Santa Clarita. Grandpa is so happy you have such a great school! I met your teachers, your friends, and a whole bunch of animals. It was a special day because Wildlife Learning Center brought several furry and fun guests. You saw an alligator, hedgehog, porcupine, chinchilla, bunny, fox, servel cat, hissing cockroach, and a snake! Then they took out the surprise….a huge snake bigger than Grandpa is tall! 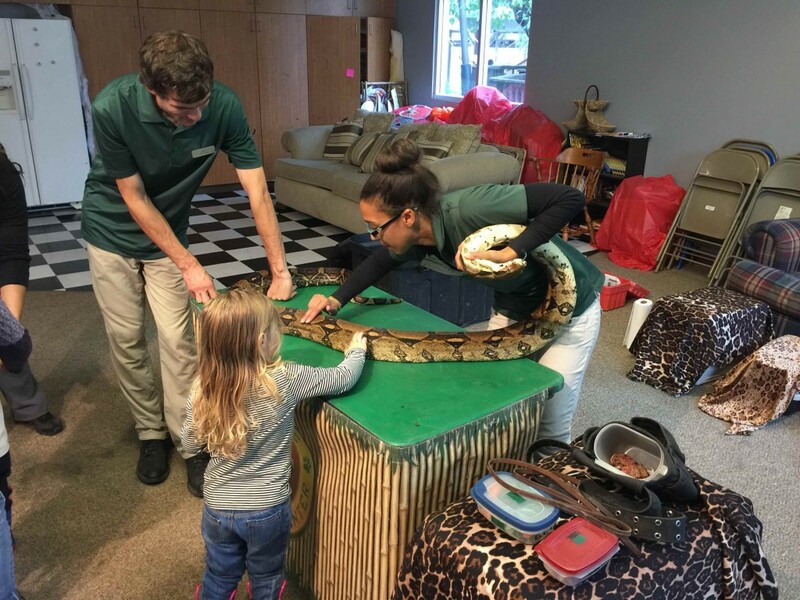 Sure enough, you were brave enough to pet the snake…Something my daughter, your mommy would never do! But, touching the big cockroach? No, thank you. The zoo it was. 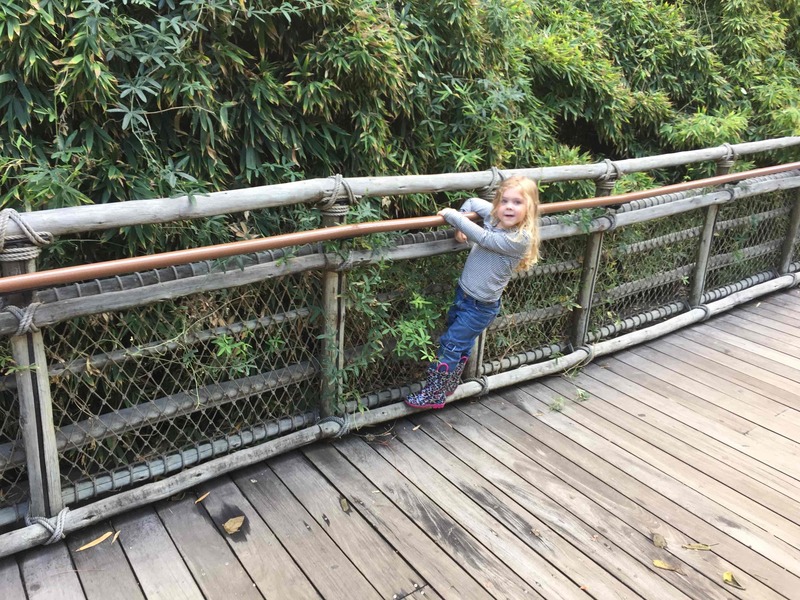 We had our usual full day at the zoo. Petting the goats, looking at the Halloween decorations and I had my usual, watching you go back and forth back and forth as you always do. Playing wherever you find yourself. Where do you get all that energy? I had my fitbit watch on and I put in over five miles in our excursions. But, you don’t just walk in a straight line. You have to take a hundred breaks walking around trees, tightroping on curbs, and splashing (it rained) in puddles all along the way. Here is what we are going to do next time. I am going to put the fitbit around your ankle and then see how many miles you walk compared to me when we are traveling to the same places!